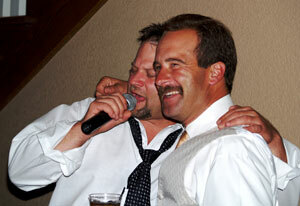 If Karaoke is what your group desires, look no further! The same enthusiasm that made us successful as DJs carried over to Karaoke! Over the years, our song library has grown to over 15,000 QUALITY songs. In addition to the truly excellent song selection, what sets our karaoke show apart from others is our premium Bose Sound Systems, quality microphones, and full light show. 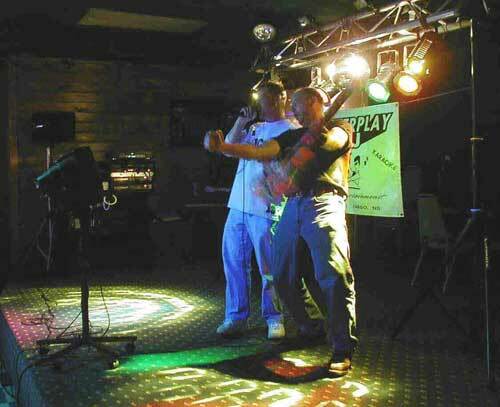 Bar gigs: We can provide regular karaoke shows. Please inquiry for special rates.